My levels have been a bit of a mess over the past couple of weeks. A few weeks ago, I began to notice my blood sugar levels slowly but steadily rising through the night. 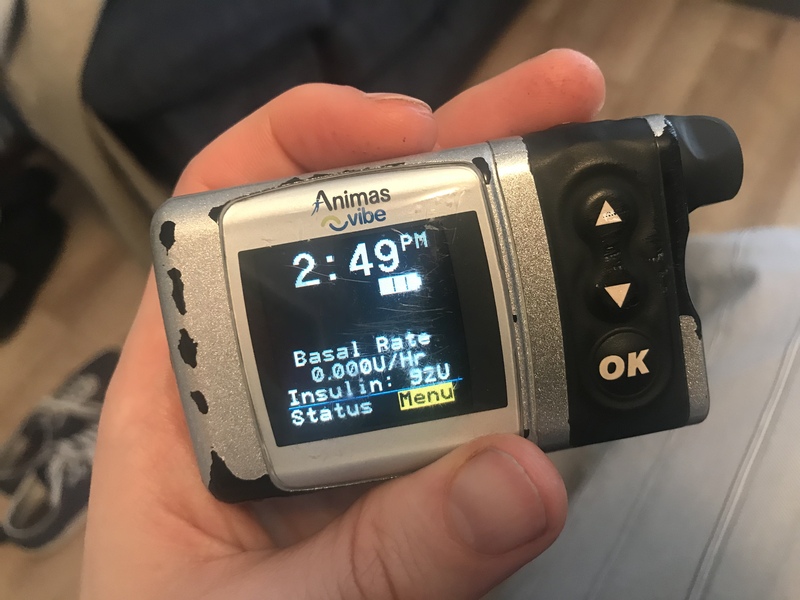 I found myself waking up to blood sugars of 8 or 9 at around 2am and giving a correction, only to find it had little effect by the time morning rolled around. 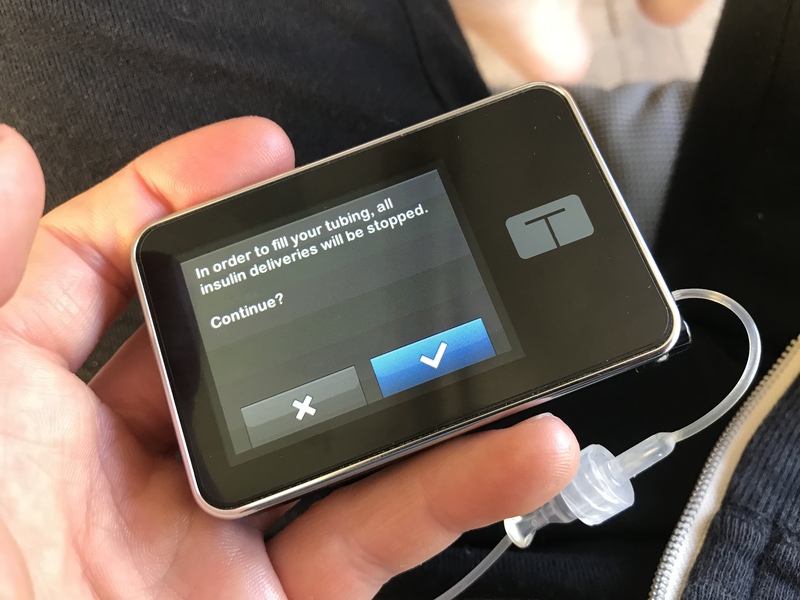 After I had ruled out any after effects of afternoon snacking or evening meals, I began increasing my overnight basal rates until I had curbed that steady rise. But I still hadn’t quite managed to clean up the spill. 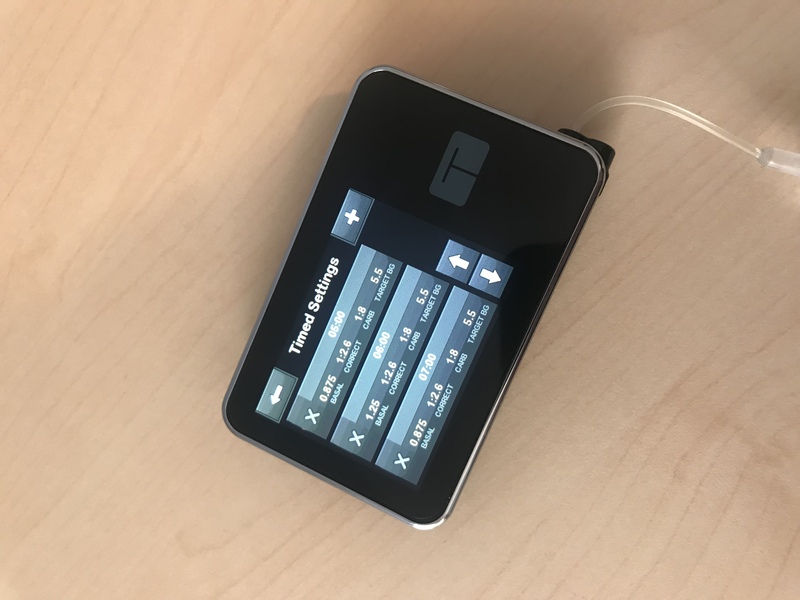 To add to my woes, the FreeStyle Libre sensor I’m wearing at the moment to fine tune those rates has been producing long flat red lines through the night – the kind of ‘LO’ readings that make me a walking talking miracle. 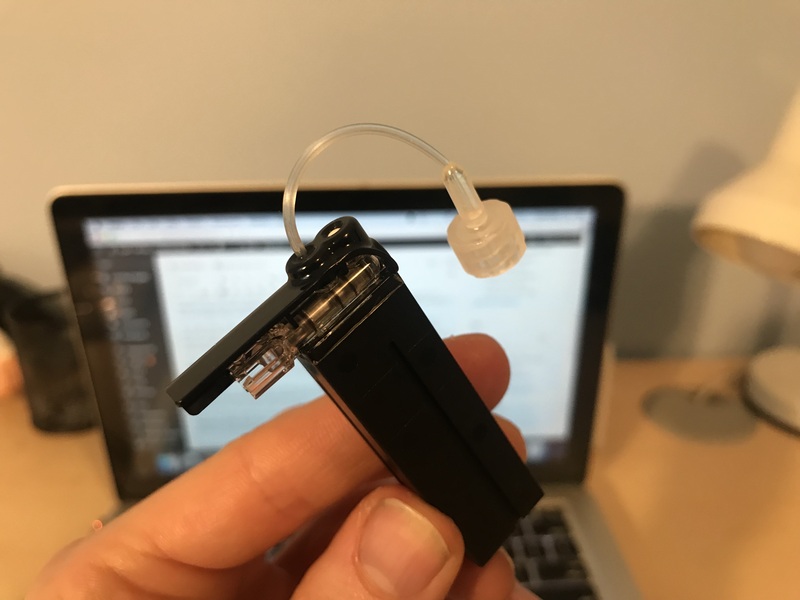 Thankfully, multiple finger prick readings quickly confirmed that Libre is at fault, and not me. I’m usually quite tuned into carb counting, protein and how I bolus for my meals when I’m on my feet at work. Yet morning after morning, I would bolus for my breakfast and find my blood sugar spiking into the teens. Those highs would carry through into my morning tea and lunch. Eating is something that I can’t really afford to be skipping at the moment. 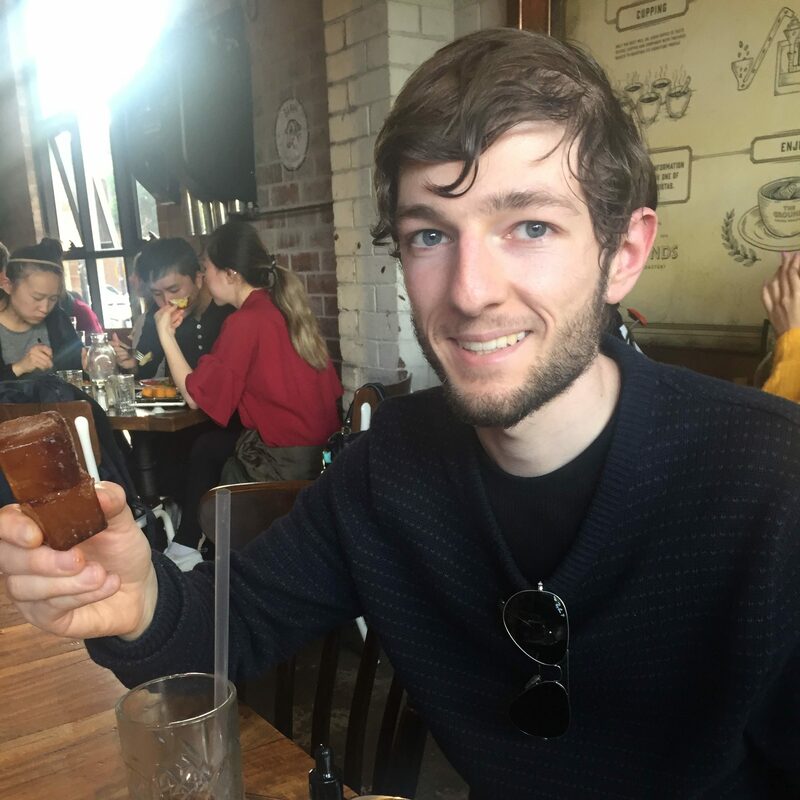 I’m working on packing more into my meals to fuel my active days so that I don’t feel so dreadfully exhausted and limping into bed at night. I’m a better person for it. 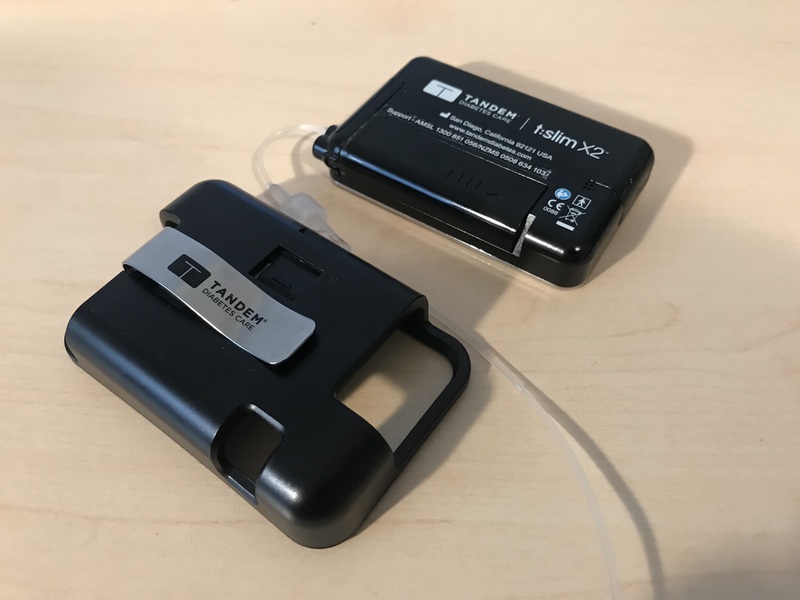 As I was setting up the basal profiles on my brand new tslim over the weekend, a mental lightbulb flicked on in my head. 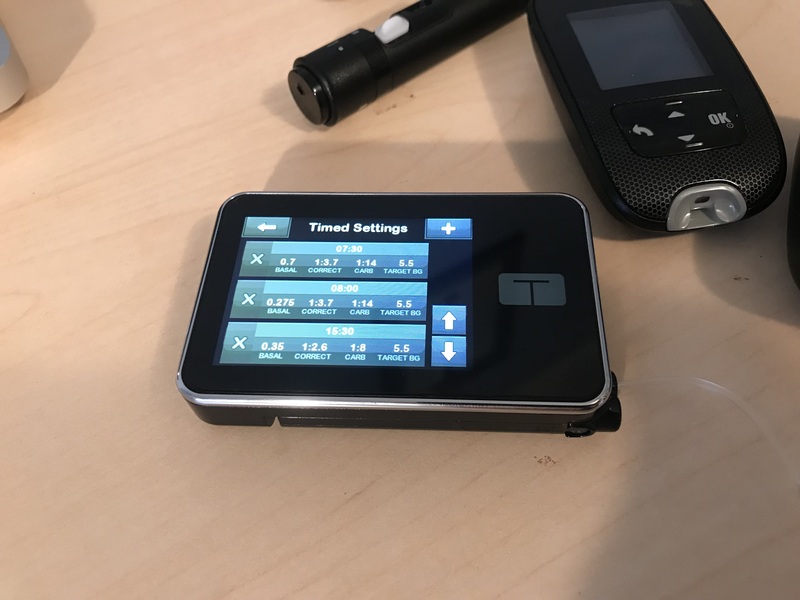 If I had increased my basal rates through the night to cover my dawn phenomenon, why hadn’t I increased them to cover my insulin resistance the moment I wake up? 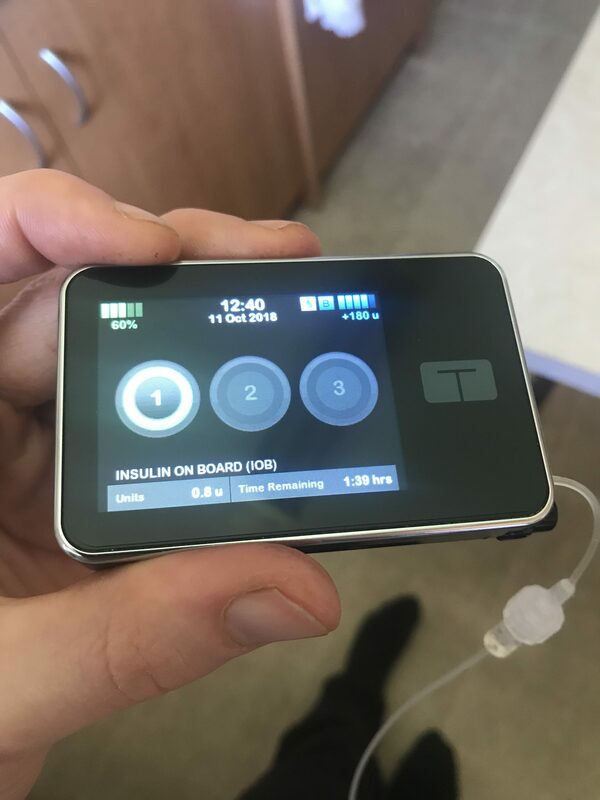 I have been tinkering my overnight basal rates back and forth since I began pumping insulin two and a half years ago. I have a theory that the lighter mornings during Spring and Summer enhance that insulin resistance in the wee hours of the morning, compared to the darker days of autumn and winter. After upping my waking basal rates by 25%, in line with what I had done through the night, I’m hoping I have a better week in store for me. Nobody really knew what to expect from her presence when she entered into this world on May 16, 2016. But she was something that had been wanted for a long time. A very long time. From the moment she came out of the box, she was loved. She may have been seen as a foreign object, but she quickly made herself at home. She could often be found clipped securely to the left pocket of trackpants, shorts, sleep pants and trousers. Her first official piece of business took place over a plate of bacon and eggs in the hospital cafeteria, and it sure was an exciting moment. She was a far more than just a material being that departed the hospital on the afternoon of May the 16th. She represented hope. A way forward. A fresh start, for the companion that she would be servicing. There were several times over those first few months of her life where her capabilities were seriously doubted. Site failures, air bubbles, stubborn highs, weakening lows, unicorns and basketfuls of emotions were weathered. She was a little chunky. And clunky. As she got older, her skin began to peel. She often inflicted feelings of complacency over the course of her life. She served three remarkable stints inside a drawer for a month at a time, delivering a basal rate of zero. But there was something that could always lure her back out of hiding. She offered a great deal more convenience. Her basal coverage was far better than what her predecessors could ever offer. She was a great motivator to watch blood sugar levels more vigilantly, and learn about the gazillion things that affected them. For the majority of the time, her benefits were seen to outweigh the constant attachment. Throughout her lifetime, she upheld a dependable reputation. While residing in Perth, she travelled to Sydney, Adelaide, twice to Melbourne and back. She weathered many coffees, cannoli, pasta nights and chocolate. She endured constant handling during daily physical activity, relied upon for temporary basal rates and frequent glances at insulin on board. She may have been taken for granted at times, but she never complained one bit. She departed this world at 9am on October 11, 2018, surrounded by her nearest and dearest. She would love to have been laid to rest in the company of the companion she had faithfully serviced for the last 30 months, but it was sadly not to be. Instead she is destined for a body bag addressed to distributor AMSL Diabetes in NSW, where she will finally be laid to rest. 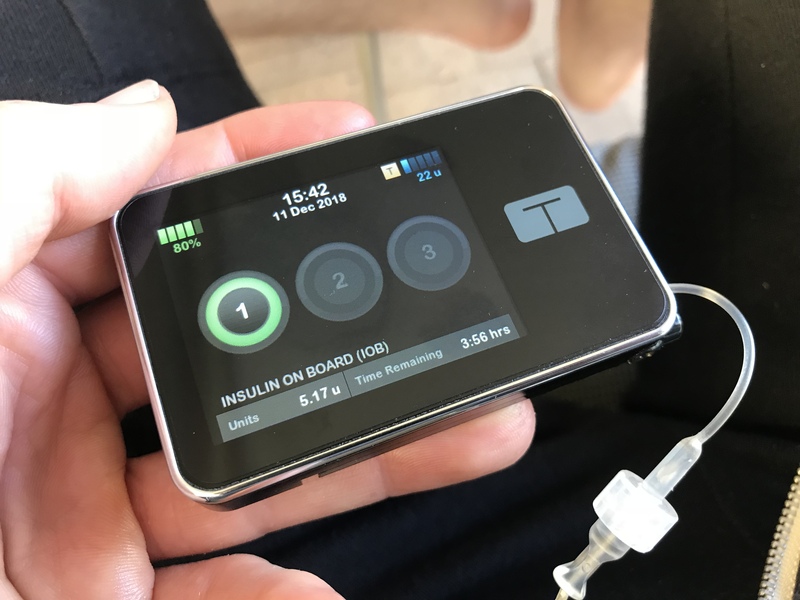 To my trusty Animas Vibe, my first insulin pump and the very thing that has given me back a life with type 1 diabetes.